That snowstorm they were walking in was exactly the kind of weather we had today. There were light flurries, but it suddenly became bigger and next thing you know – it looked like nature decided to make everything look like a pillow fight with feathers flying everywhere. That’s what happened with this drama too. It started out as something easy and breezy, then it got more serious, but always maintained its humor. Then the snow finally let up and all we had to show for it was the slush accumulated on the ground. That pretty much sums up how I felt after the finale. After enjoying all that beautiful snow, I was left looking drenched and confused. It was like Tan’s words were a wake up call for YD. As soon as he heard them, YD realized what he had been doing was wrong. Like a kid making a hopeful wish, he wanted something that would never appear – she was never going to look at him as more than a friend. He had been chasing after a girl who belongs with the one she loves. All that time when Tan and YD fought over ES, YD didn’t stop to face how wrong that was. That if he truly liked her, he wouldn’t have used her as an excuse to keep fighting Tan. YD finally saw how messed up his behavior was in the past and that clarity brought him to her doorstep. He came for closure, but discovered what it feels like to have a mom’s home cooked meal. For a kid who eats alone at convenience stores, I can’t imagine how touched he was by her gesture. Every time I see a scene like this – where the kid is trying to hold back his tears and gets choked up from a wave of emotions washing over him – I swear the floodgates just open up for me. Then I had a crazy thought – I can’t help but think that ES’s mom likes him. She sees something special in this tall gangly boy. She doesn’t see him the way everyone else does – she only sees a kid who is starving for affection. I bet that meal filled him up in more ways than one. She didn’t just feed him, she filled up a little part of that hole in his heart -the one aching for a mother’s affection. I bet that’s why he could barely look her in the eye – if he does, he knew he could no longer control whatever strength he had to hold back his tears. 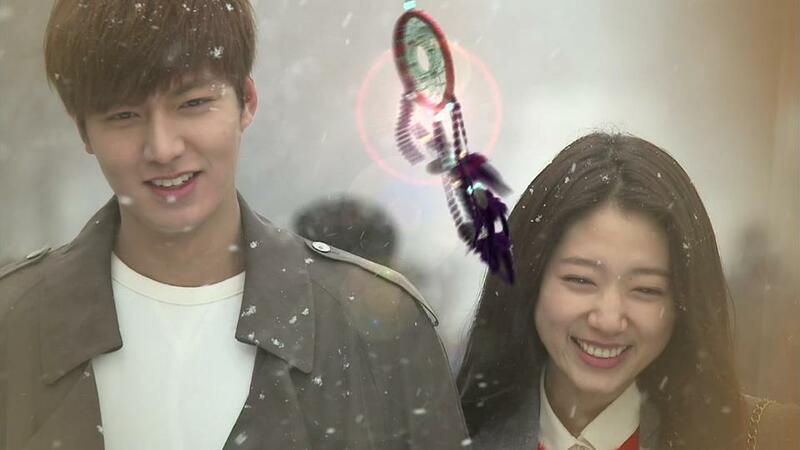 Don’t believe this smile for a second Kim Tan. In a fictional former life (in another role when you had a crazy perm), your character fell for this before and went on a picnic only to be dumped on the way home after you had such a great time. Remember that and realize ES is hiding something behind this smile. You must know that it wasn’t luck that enabled her to get to the second floor to your room. If you had any sense you would know your dad didn’t heed your warning not to mess with her and your dad is up to his old tricks. Mothers might throw water in the face of the women they don’t like for their sons, but fathers take a backward cowardly approach – bribery through innuendos of threat if not compliant. That is what her smile is hiding – the truth that she has to make a choice when both options are far from what both of you want. You might have had faith in your father that he would back off and leave her alone, but a part of her saw this day coming. Her youthful optimism thought it would be much later, but the day of reckoning is upon both of you. We all know what you gave up to protect ES, but I still can’t figure how much she loves you to be strong enough to disregard your father’s threats and put her mom’s well being in jeopardy by not obeying him. I want to say ES will follow her heart, but I fear the child in her will crumble under the weight of all this pressure. 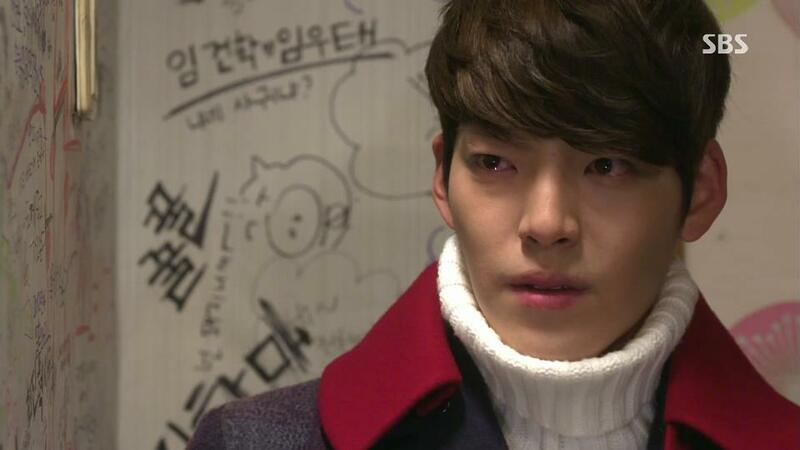 It’s one thing for all the heirs in this drama to bear the weight of the crown, but it’s another story to ask ES to endure that weight with you when she has her mother to consider. If she does decide to obey your father, I refuse to see it as being a noble idiot. I rather see it as her loving Tan and her mother too much to let her own happiness be the cost for theirs. For far too long, people have been focusing too much on the word “idiot” and forgetting why their sacrifices are supposed to be noble. Let’s give her the benefit of the doubt to put the focus back on “noble” where it belongs. Judging from the preview, it looks like Tan will give her the emotional support and reassurance she needs to do the right thing anyway. If all else fails, at least she has some black knights to come to her rescue (YD, CY, and MS) and even one princess BN. 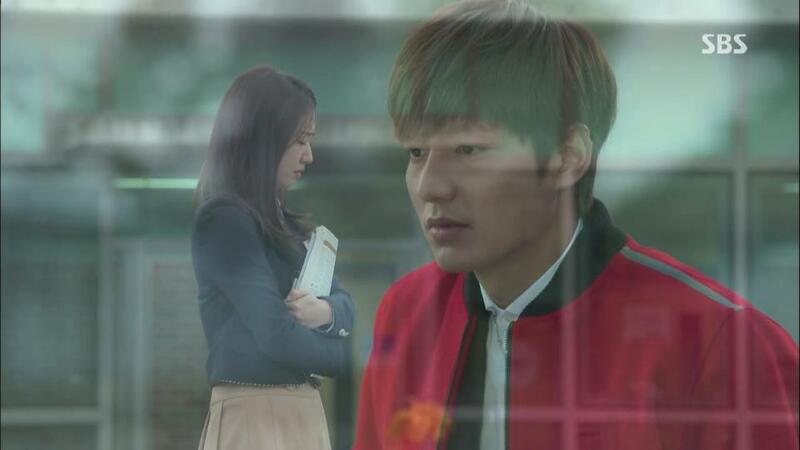 More reflections on Heirs cuz the loaded meaning behind each word keeps you on your toes. There are certain scenes or lines from each episode that has me lingering over the underlining meaning behind the words and expressions. Instead of posting them on the side widget, I thought I would share them here each week.